At AES our initialization center provides 24/7 availability to enable us to label and initialize your media quickly. Our software engineers developed proprietary programs that utilize software, bar-code scanners and a built in system of error checking that ensure every tape is initialized accurately. AES also produces the labels onsite to accommodate almost every type of media. The combination of experienced staff, unparalleled software for initialization accuracy, and quality controlled label providers, has made AES an industry leader in these services for over twenty years. Whether you require 24 hour emergency service or just the standard initialization service, your organization can always feel confident with our guaranteed fast turnaround, quality of service and accuracy. 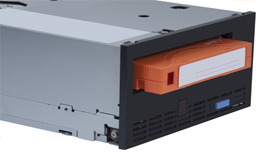 The initialization services can be provided for new tape, certified media, or an existing tape that may just need a new volume serial number or initialization. Before you dispose of old media that may be able to be redeployed within your organization, let us know. We can provide a variety of money saving options. At AES we take pride in presenting you with the option that best fits your business requirements. For more information on how to utilize our experienced team of librarians for your label and initialization needs, please contact us.